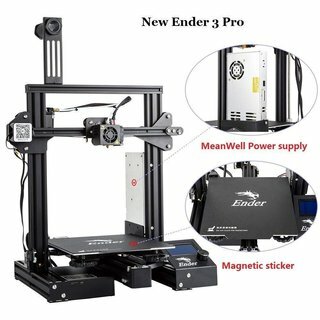 Buy the good-value Creality Ender-3 Pro FFF 3D printer and get a small production machine for your home, office or workshop. 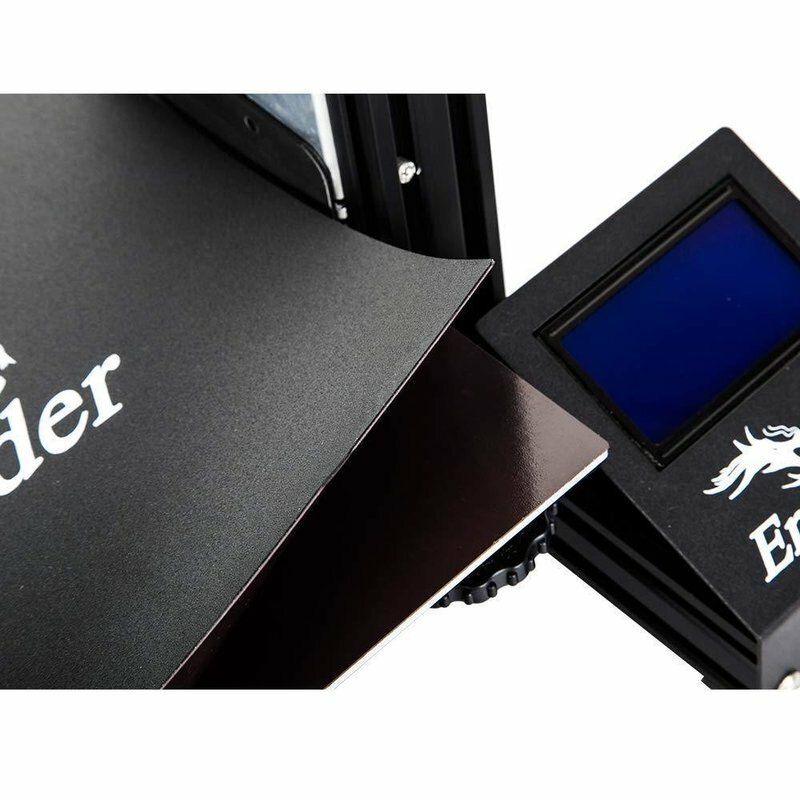 You get good 3D prints quickly and easily thanks to its large build volume, magnetic build platform surface, easy leveling and fast heat-able build platform. 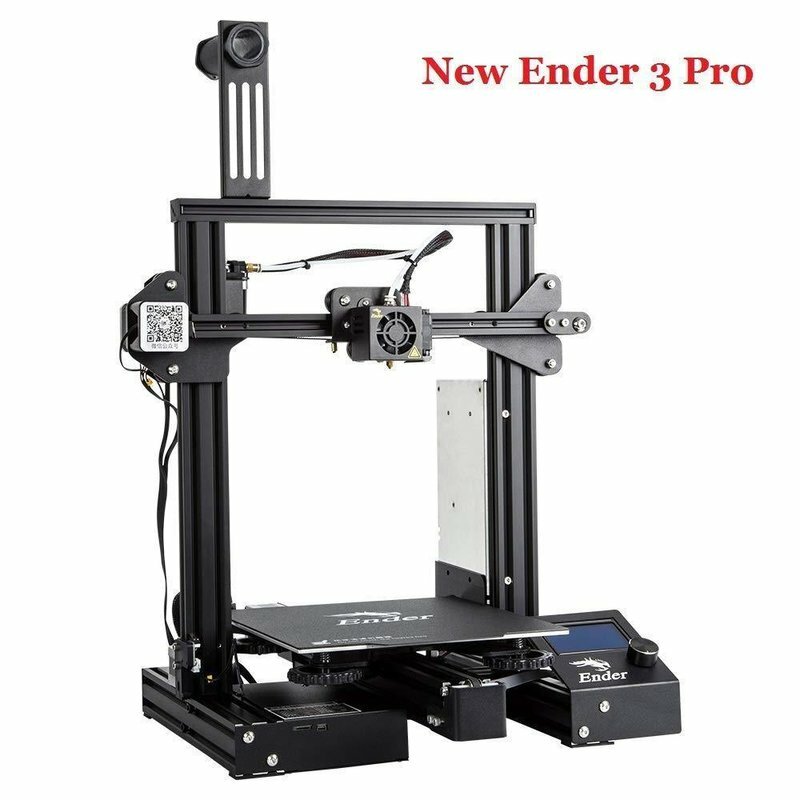 The Creality Ender-3D Pro contains many smart improvements compared to its already excellent predecessor. 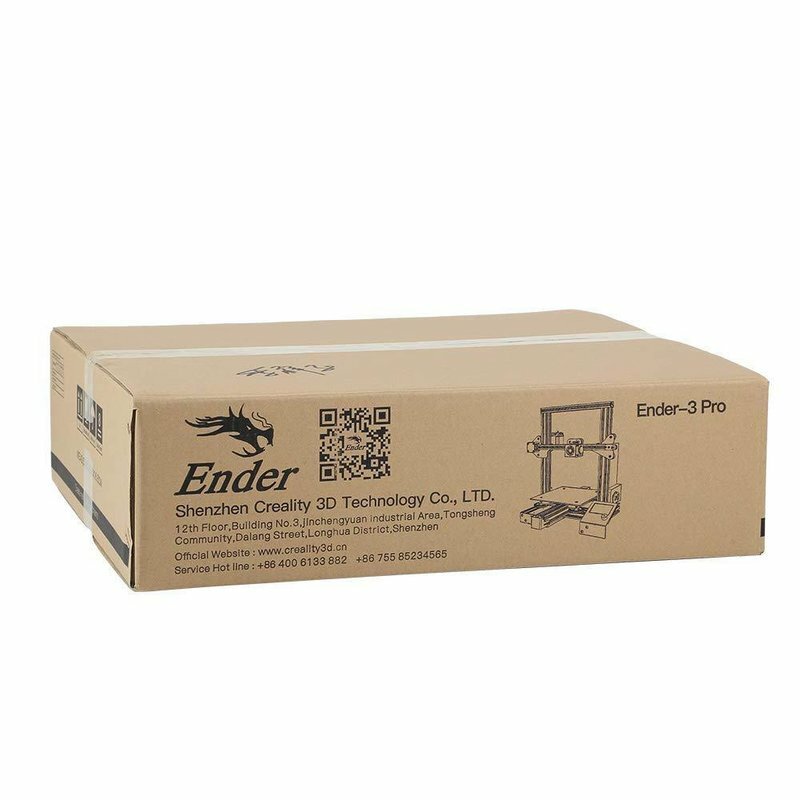 The Creality Ender-3 Pro comes with a space saving design. 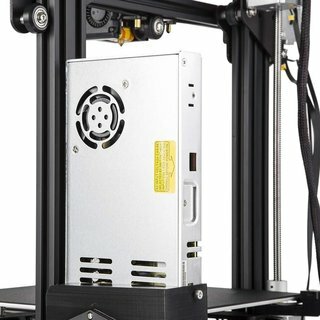 This makes it easy to fit your 3D printer on your desk. It?s quiet, working noises don't bother you, so you can concentrate on your work ? even with your 3D printer in the same room. Use your Creality Ender-3 Pro easily and comfortably. Its display gives you all relevant information in real time. Create impressive and high-resolution 3D prints with this 3D printer. This tiny manufacturing machine works very precisely; also for additive manufacturing of fine details. 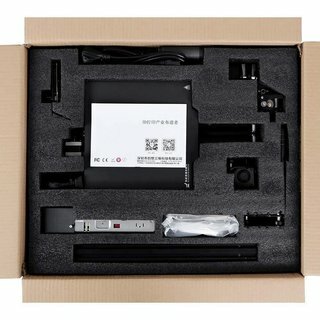 After you received your Creality Ender-3 Pro 3D printer, you quickly and easily assemble it. You'll be ready for your first 3D print in about 10-15 minutes. The assembly is also feasible for beginners. 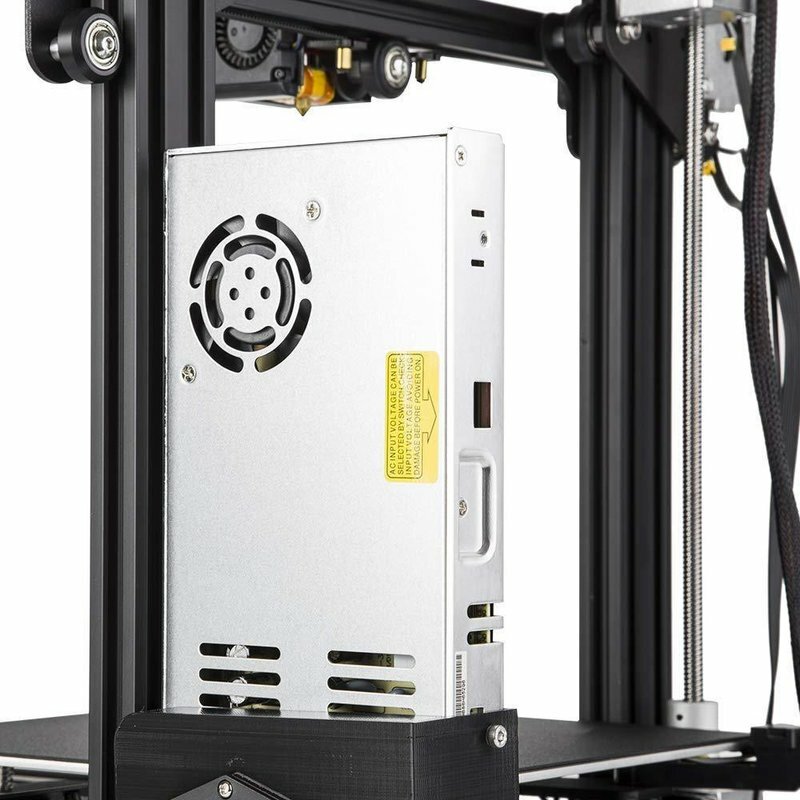 All you have to do is put in screws to get this 3D printer ready for use. Nothing is more fulfilling than successfully assembling your own DIY 3D printer kit yourself. 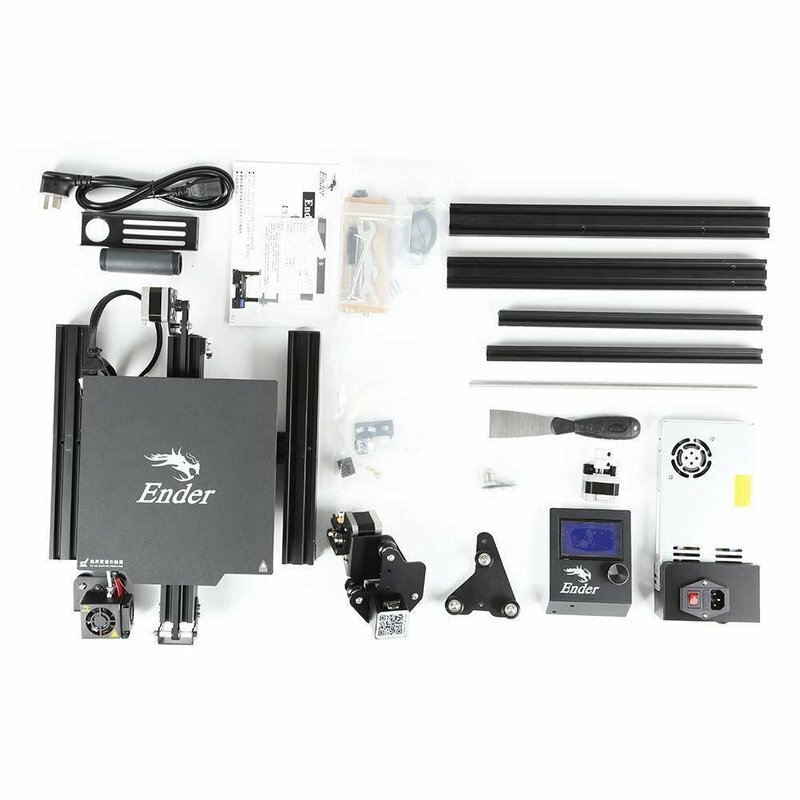 At the same time you can familiarize yourself with the inner workings of your 3D printer. This will help you develop a deeper understanding of the principles of 3D printing. 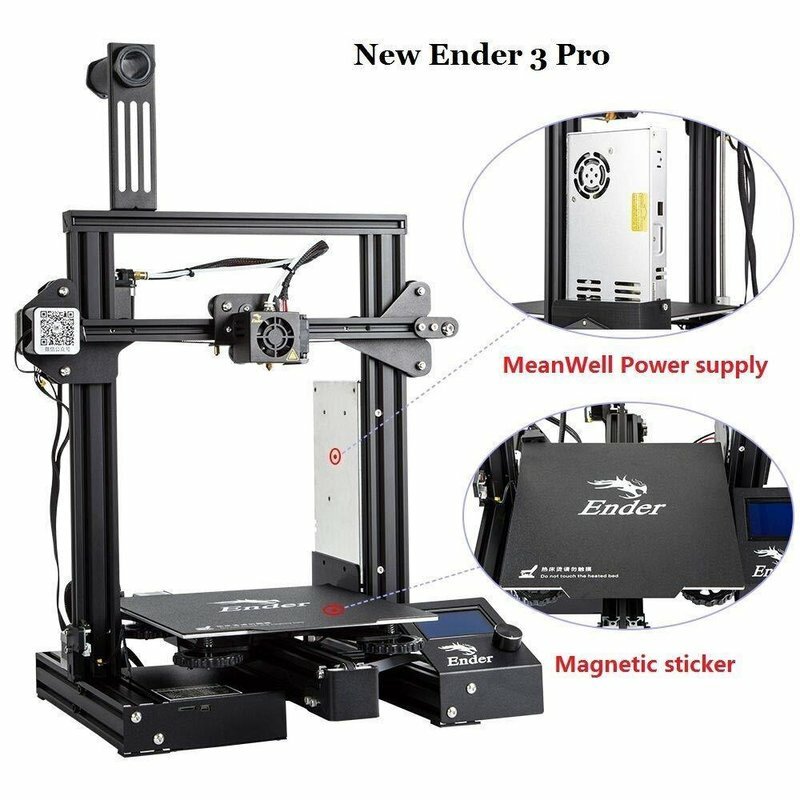 The Ender-3 Pro's redesigned frame, with a much tougher 40x40 aluminum profile for the Y-axis base, offers unprecedented stability of the 3D printing surface. This results in significantly improved 3D print quality. The completely new state-of-the-art "C-MAG" magnetic bed is completely removable and flexible. Due to the structured surface, filament of all kinds adheres better than with conventional adhesion methods such as adhesive tape, glue or hairspray. Avoid warping on larger models and 3D prints! Once your 3D model is printed, remove the magnetic surface from the printing platform. By bending the printing surface, you can easily detach the model from the printing surface. A power supply from MeanWell stands for quality and reliability. MeanWell is a well-known company with over 30 years of experience in the power supply industry. This power supply ensures safer and faster heating of all necessary components. 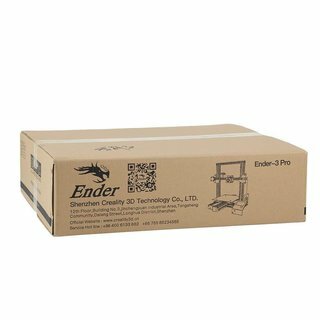 Combined with MeanWell's new high quality power supply, the Ender 3 Pro's heating bed can reach temperatures of 110°C in just 5 minutes now. 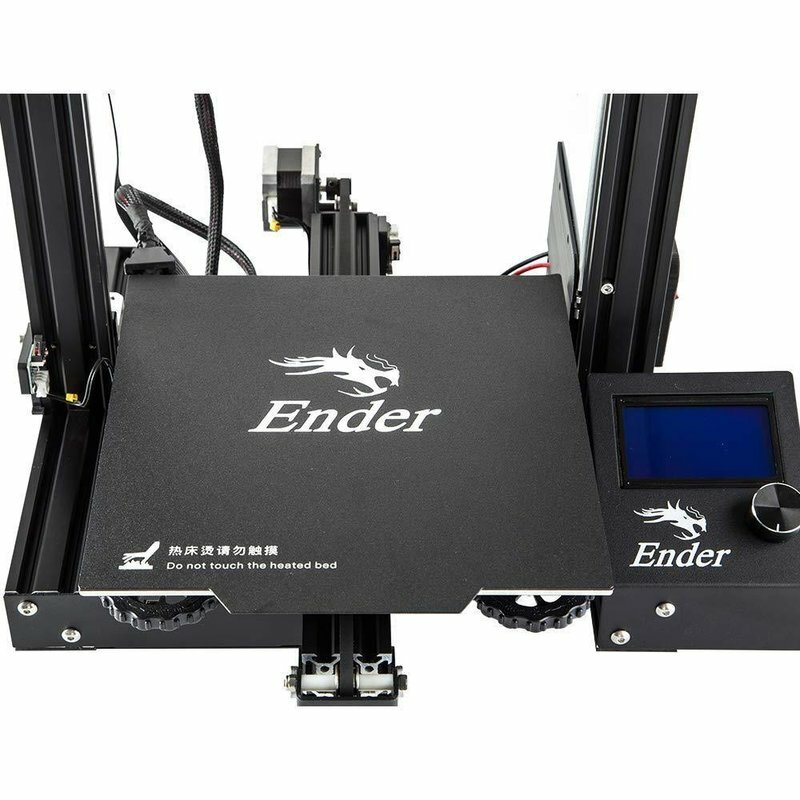 This makes the Ender 3 Pro suitable for many different filament types. High-precision CNC machining techniques for all metal angles and brackets ensure precise positioning and a more stable frame structure all round. All new, ergonomically designed, larger bed levelling nuts make bed levelling much easier and more accurate. A simple adjustment gives you more time to develop your ideas and 3D printing. Buy the Creality Ender-3 Pro and you'll get an affordable FFF/FDM-3D printer for your home, office or workshop. Filament 1.75mm PLA, ABS, Wood, TPU, Gradient color, carbon fiber, etc.